Storycitra.com-As a woman to take care her skin is very important. Most some women want to spend a lot of money to skin care treatment to get better skin; glow and health! Honestly, I love to spend time in SPA to get wonderful treatment to my skin, face and body. The most I love to save money to travel but caring the skin is important too. 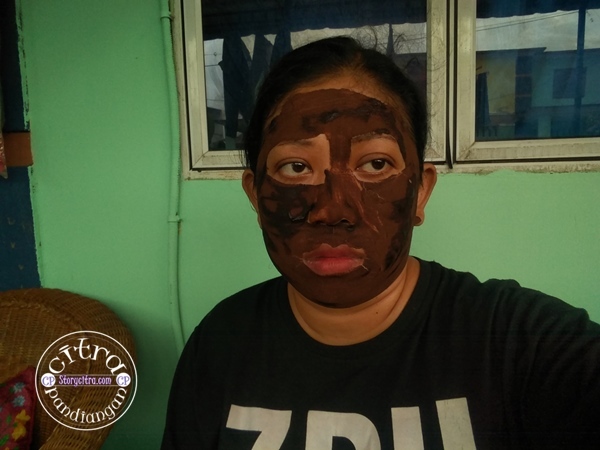 Today, Citra wants to tell you story about how to make DIY mask face from coffee and chocolate. Honestly, I love to mask my face with this amazing of ingredients. The most is smelling coffee when I apply on my face. It makes me feel so good and make my eyes open brightly. Everyone knows, benefit of coffee beans is very good to reduces inflammation and redness, including to make bright under our eye circles. Coffee beans are good to removes dead skin and wakes up a tired complexion. How about cocoa Powder? Cocoa is very good to source of antioxidants; including repairs damage due to environmental pollutants, and the most amazing free radicals. Can you imagine if these ingredients mix become one to face mask! We get all of it in one way apply. So, I do try this DIY Mask and do it two times a week and the result, I feel so soft my face skin and health. The most, the price is not so damn expensive. 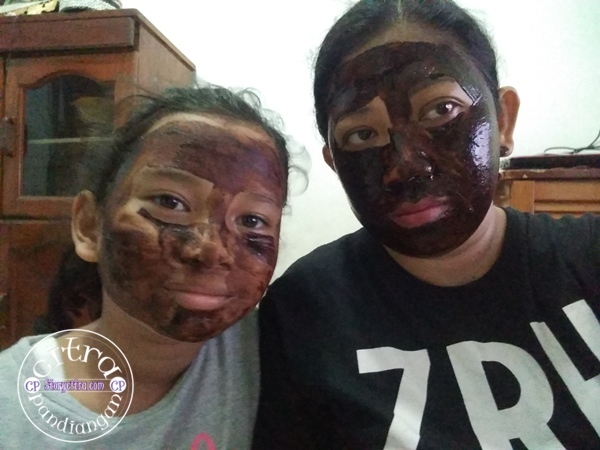 Let’s get DIY Face Mask from Coffee and Chocolate! This is my recipe I do for myself. I just need 2 tea spoon black coffee powder (without sugar) and 1 tea spoon coco powder, if you have extra money, you can buy pure dark chocolate bar; and melt it to apply on your face. Actually for me; it needs little extra energy for miss lazy in the kitchen. The last ingredient you and I need are rose water. Put the coffee and chocolate in empty bowl; then give rose water till make it like pasta. When you think it’s enough water to make face cream pasta. Now, clean your face first. 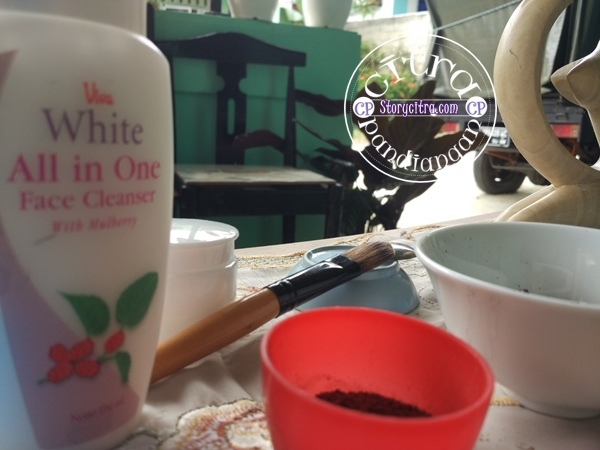 I love use all in one lotion clean face from Viva. 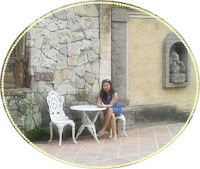 You can buy it on this link http://bit.ly/Vivacos because it simple! I just need little lotion clean from viva to clean my face and so easy to do it. After cleaning face, then apply our face with the mask! Keep it 15 minutes till 30 minutes depend on you! I just love to make it dry and keep it around 20 minutes. After feeling so tight on your face from the mask, you can clean it. I prepare clean it first with the warm water, then cool water. Dry the face and do not forget to give moisturizer to your face. It’s very important to do after give treatment mask to your face. Moisturizer will make your skin feel more better. So, what do you think? Would you try to make your own DIY mask to give your skin treatment at home? If you agree with this article! Can you share it to your friends or family, so they will get good skin too; because sharing is great! 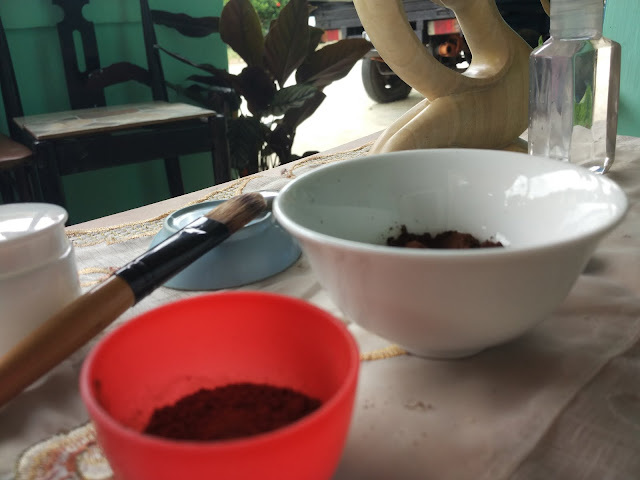 Aku mau coba ah masker kopi ama coklat nih.Biasanya aku cuma pake sisa ampas kopi buat tangan doang. Hehehe. Nice info kak. Wahh boleh dicobaa nih kakak. Aku lagi suka maskeran juga tiap harii. .